Glenn Loury is Merton P. Stoltz Professor of the Social Sciences, Department of Economics, Brown University. Laurence J. Kotlikoff is a William Fairfield Warren Distinguished Professor and Professor of Economics at Boston University. Video should start at @49:06 Glenn: Affirmative Action undermines black students’ dignity. Glenn: [Interrupting] Well that's the ball game -- they discriminated. Civil Rights Act of 1960. Yesterday David Card (Harvard's statistical expert in the Asian American discrimination trial) began his testimony. At least as reported in the Chronicle, he has yet to dispute Arcidiacono's (plaintiff expert) finding that among "unhooked" applicants (95% of applicants: not in the subset of legacies, recruited athletes, and major donor kids), Asian Americans are discriminated against relative to all others, including whites. I discuss this in detail here and here. Card has questioned the legal relevance of Arcidiacono's finding (he does not want to consider unhooked applicants separately), but that is for the judge and lawyers to wrangle over (see excerpt below). As a statistical fact I have yet to see any claim from Harvard or Card that the result is incorrect. Perhaps today's cross examination of Card will focus on this important question, which the media is largely ignoring. "The task here is to determine whether “similarly situated” applicants have been treated differently on the basis of race; “apples should be compared to apples.” SBT Holdings, LLC v. Town of Westminster, 547 F.3d 28, 34 (1st Cir. 2008). Because certain applicants are in a special category, it is important to analyze the effect of race without them included. Excluding them allows for the effect of race to be tested on the bulk of the applicant pool (more than 95% of applicants and more than two-thirds of admitted students) that do not fall into one of these categories, i.e., the similarly situated applicants. For special-category applicants, race either does not play a meaningful role in their chances of admission or the discrimination is offset by the “significant advantage” they receive. Either way, they are not apples. Professor Card’s inclusion of these applicants reflects his position that “there is no penalty against Asian-American applicants unless Harvard imposes a penalty on every Asian-American applicant.” But he is not a lawyer and he is wrong. It is illegal to discriminate against any Asian-American applicant or subset of applicants on the basis of race. Professor Card cannot escape that reality by trying to dilute the dataset. The claim here is not that Harvard, for example, “penalizes recruited athletes who are Asian-American because of their race.” The claim “is that the effects of Harvard’s use of race occur outside these special categories.” Professor Arcidiacono thus correctly excluded special-category applicants to isolate and highlight Harvard’s discrimination against Asian Americans. Professor Card, by contrast, includes “special recruiting categories in his models” to “obscure the extent to which race is affecting admissions decisions for those not fortunate enough to belong to one of these groups.” At bottom, SFFA’s claim is that Harvard penalizes Asian-American applicants who are not legacies or recruited athletes. Professor Card has shown that he is unwilling and unable to contest that claim. UPDATE: The reporting below confirms what I wrote above. Card and Harvard maintain that looking specifically at unhooked applicants is irrelevant to the case, and do not dispute the statistical facts uncovered by SFFA regarding that group (95% of all applicants!). SFFA maintain (see case law cited above) that anti-Asian American discrimination in this category is itself a violation of law. Will any journalists report this part of the case, prominently discussed in the SFFA brief? Chronicle: Card’s main objection to Arcidiacono’s model is that it omits recruited athletes, the children of alumni, the children of Harvard faculty and staff members, and students on a special list that includes children of donors. Excluding all those applicants, who are accepted at a relatively high rate, Card suggested, had skewed his counterpart’s results. 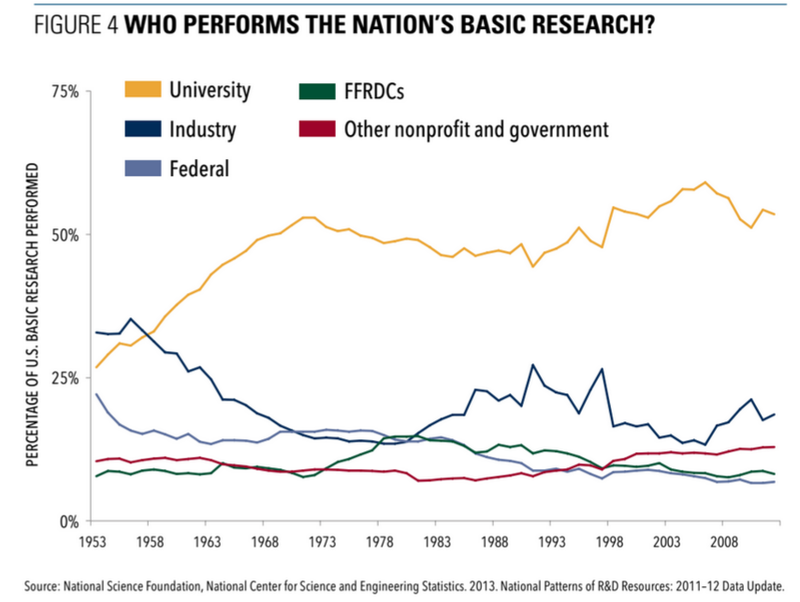 Federal R&D, which skews more toward basic research, is typically somewhat less than 1% of US GDP (~$100 billion per annum). See figure below. WSJ: ... U.S.-based companies accounted for $329 billion of a record $781.8 billion in R&D spending tallied by PwC for the year ended June 30. 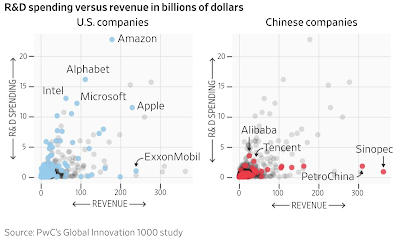 While Chinese R&D investment came in at $61 billion, in 2010 that figure was just $7 billion, PwC said. 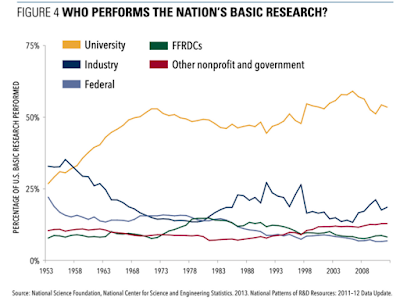 Today, 145 Chinese companies are among the top 1,000 R&D spenders, up from 14 a decade ago. 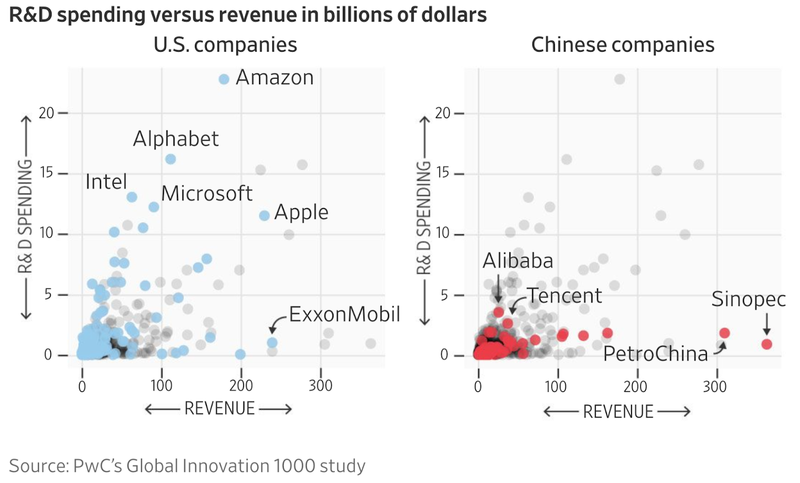 ... PwC’s figures don’t include private companies, however, which leaves out China’s state-owned monoliths and closely held Huawei Technologies Co., the world’s largest maker of telecommunications equipment. Huawei said it spent more than $13 billion on R&D last year. This is a thoughtful discussion of OBOR and TPP. @44min and following, an insider's account of economic rapprochement between the US and China starting in 1978. Also, some interesting comments on political reforms necessary to escape the middle income trap. China is heavily investing in two infrastructure routes: a “21st Century Maritime Silk Road” stretching from Southern China across the Indian Ocean to connect Southeast Asia, South Asia, and Africa to the Mediterranean; and a land-based Silk Road Economic Belt connecting Western China to Europe via Central Asia. Establishing these transcontinental trade routes will likely cost over one trillion dollars and will cover 65% of the world's population. This investment could help fill a wide “infrastructure investment gap” in China and the 68 other Asian, African, and European countries it passes through, however, traditional international development actors such as multilateral investment banks and developed nations are concerned about the outcomes, terms, and process that come with this massive investment. There are still a number of questions surrounding how China might protect the route after it's built and if the benefits will outweigh the risk. Should recipient countries be worried about political strings that might come attached to OBOR projects? What impact does this different unilateral, loan-based model have on the recipient countries? How likely is China to succeed in achieving these grand investment goals and how will a project of this scale continue to contribute to China’s own growth? What type of impact does this project have on global trade in general? 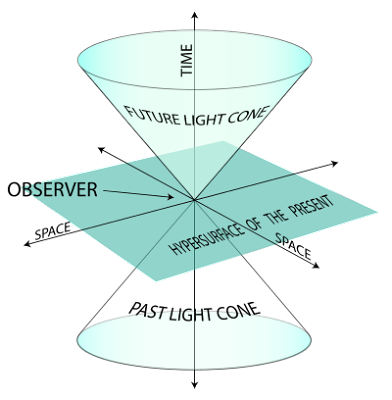 Charles Thomas Fingar, born January 11, 1946, is a professor at Stanford University. In 1986 Fingar left Stanford to join the State Department. In 2005, he moved to the Office of the Director of National Intelligence as the Deputy Director of National Intelligence for Analysis and concurrently served as the Chairman of the National Intelligence Council until December 2008. In January 2009, he rejoined Stanford University as a Payne Distinguished Lecturer in the Freeman Spogli Institute for International Studies. Let's see if any other media outlets cover this very essential part of the trial -- the cross examination of each side's statistical experts. As far as I understand, the plaintiff's claim that "unhooked" Asian American applicants are discriminated against by Harvard relative to applicants of other ethnicities (including white applicants) is NOT DISPUTED by Harvard, nor by their statistical expert David Card (economist at Berkeley). Chronicle: ...A main difference between the two economists’ analyses is which types of applicants they included. Arcidiacono excluded recruited athletes, the children of alumni, the children of Harvard faculty and staff members, and students on a “Dean’s List” made up partly of children of donors. Those applicants — about 7,000 out of the roughly 150,000 students in the six-year data set — are admitted at a much higher rate than the rest of the pool, which Arcidiacono said made them difficult to compare with the other applicants. The judge, Allison D. Burroughs of the Federal District Court, had some questions about the decision to omit that group. She wondered how many Asian-American applicants in those excluded categories are admitted. As it turned out, they are admitted at higher rates than the white applicants. “It looks to me like what you’re arguing is you have an admissions office that’s discriminating against Asians, but they only do it in certain places,” she said. Arcidiacono agreed. Unhooked applicants make up 95% of all applicants, but only 2/3 of admits. Recruited athletes, legacies, rich donor kids, etc. are all admitted at much higher rates than ordinary kids -- while only 5% of the applicant pool they are 1/3 of the entering class! There has never been any claim that Asian Americans who are, e.g., nationally ranked athletes or children of billionaires are discriminated against. Eoin Hu, a Chinese American, was the star running back at Harvard when I was there! Jeremy Lin may have been denied D1 scholarships by Stanford and Berkeley despite being first-team All-State and Northern California Division II Player of the Year, but Harvard Basketball was very happy to have him. Special status is a much stronger effect than Asian ethnicity, so including hooked applicants only dilutes the statistical effect found by Arcidiacono. Card insisted on lumping together hooked and unhooked applicants in his analysis and has not (to my knowledge) rebutted Arcidiacono's analysis. Reportedly, 86 percent of recruited athletes were admitted, 33.6 percent of legacy students were admitted, 42.2 percent of applicants on the Dean or Director’s List (major donor kids) were admitted, and 46.7 percent of children of faculty or staff were admitted. Compare this to an admit rate of ~5 percent for unhooked applicants. It is clear that these are different categories of applicants that should not be conflated. If your kid is an unhooked applicant, you can infer much more about his or her prospects from Arcidiacono's analysis than from Card's. The former covers 95% of the pool and is not subject to large idiosyncratic and distortionary effects from the special 5% that are advantaged for reasons having nothing to do with academic merit or even personality and leadership factors. Professor Arcidiacono thus correctly excluded special-category applicants to isolate and highlight Harvard’s discrimination against Asian Americans. Professor Card, by contrast, includes “special recruiting categories in his models” to “obscure the extent to which race is affecting admissions decisions for those not fortunate enough to belong to one of these groups.” At bottom, SFFA’s claim is that Harvard penalizes Asian-American applicants who are not legacies or recruited athletes. Professor Card has shown that he is unwilling and unable to contest that claim. Inside Higher Ed covers a panel called “Too Asian?” at the annual meeting of the National Association for College Admission Counseling. Particularly telling are the comments of a former Stanford admissions officer about an internal study which found evidence of higher admission rates for white applicants over Asians of similar academic and leadership qualifications (all applicants in the study were "unhooked" - meaning not in any favored categories such as legacies or athletes). In an earlier post I recommended a talk by Ilya Sutskever of OpenAI (part of an MIT AGI lecture series). In the Q&A someone asks about the status of backpropagation (used for training of artificial deep neural nets) in real neural nets, and Ilya answers that it's currently not known how or whether a real brain does it. Almost immediately, neuroscientist James Phillips of Janelia provides a link to a recent talk on this topic, which proposes a specific biological mechanism / model for backprop. I don't know enough neuroscience to really judge the idea, but it's nice to see cross-fertilization between in silico AI and real neuroscience. See here for more from Blake Richards. David Goldman writes the Spengler column for the Asia Times. He has been a keen observer of geopolitics, economics, and finance in the Asia-Pacific region for many decades, as well as a banker and financial analyst. I believe you can hear Sebastian Gorka in the Q&A. I recently noticed this lecture series at MIT, focusing on AGI. This talk by Ilya Sutskever (OpenAI) is very good. There are several more in this series: playlist. In Q&A Sutskever notes that it is not known whether/how human brains do backpropagation, which seems central to training of deep networks. Any neuroscientists out there want to take up this question? These NYTimes articles by Pulitzer Prize winner Amy Harmon, linking genetic science to racism and white supremacy, caused a sensation at ASHG 2018, a large annual meeting of genetics researchers. The first talk I attended at ASHG this year is summarized below. The talk was oversubscribed, so I had to sit in the overflow room. One of the slides presented showed a table of specific complex traits, cross-referenced by different ancestry groups, indicating status of recent natural selection. The authors' results imply that different population groups have been experiencing differential selection over the last ~10k years: different selection pressures in different geographical locations. There were many talks at ASHG covering related topics, with similar conclusions. Advances in computational and statistical methods, together with large datasets, make it possible now to seriously investigate differential selection in recent human evolutionary history. Given such results, how are researchers to respond when asked to categorically exclude the possibility of genetically mediated average differences between groups? We are scientists, seeking truth. We are not slaves to ideological conformity. Building genealogies for tens of thousands of individuals genome-wide identifies evidence of directional selection driving many complex human traits. For a variety of species, large-scale genetic variation datasets are now available. All observed genetic variation can be traced back to a genealogy, which records historical recombination and coalescence events and in principle captures all available information about evolutionary processes. However, the reconstruction of these genealogies has been impossible for modern-scale data, due to huge inherent computational challenges. As a consequence, existing methods usually scale to no more than tens of samples. We have developed a new, computationally efficient method for inferring genome-wide genealogies accounting for varying population sizes and recombination hotspots, robust to data errors, and applicable to thousands of samples genome-wide in many species. This method is >10,000 times faster than existing approaches, and more accurate than leading algorithms for a range of tasks including estimating mutational ages and inferring historical population sizes. Application to 2,478 present-day humans in the 1000 Genomes Project, and wild mice, provides dates for population size changes, merges, splits and introgressions, and identifies changes in underlying evolutionary mutation rates, from 1000 years, to more than 1 million years, ago. Using our mutational age estimates, we developed an approach quantifying evidence of natural selection at each SNP. We compared resulting p-values to existing GWAS study results, finding widespread enrichment (>2.5-fold in Europeans and East Asians) of GWAS hits among individual SNPs with low selection p-values (Z>6), stronger than the 1.5-fold increase observed at nonsynonymous mutations, and with enrichment increasing with statistical significance. We found evidence that directional selection, impacting many SNPs jointly, has shaped the evolution of >50 human traits over the past 1,000-50,000 years, sometimes in different directions among different groups. These include many blood-related traits including blood pressure, platelet volume, both red and white blood cell count and e.g. monocyte counts; educational attainment; age at menarche; and physical traits including skin colour, body mass index and (particularly in South Asian populations) height. Our approach enables simultaneous testing of recent selection, ancient natural selection, and changes in the strength of selection on a trait through time, and is applicable across a wide range of organisms. However, this ethical position is not predicated on the absence of average differences between groups. I believe that basic human rights and human dignity derive from our shared humanity, not from uniformity in ability or genetic makeup. As a parent it is obvious to me that my children differ in innate aptitudes, preferences, and personalities. I love them equally: it would be wrong to condition this love on their specific genetic endowments. Evolution and maintenance of complex traits under natural selection has been a long-standing area of genetic research. Polygenic adaptation, stabilizing selection, and negative selection on new mutations can substantially impact the genetic architecture of diseases and complex traits, via direct selection on traits that are correlated with fitness and/or via pleiotropic selection. New methods are being developed to detect the action of natural selection at different time scales, including selection in contemporary humans. This session will discuss recent work on methods that analyze data from large cohorts to detect natural selection and evaluate its impact on diseases and complex traits. The application of these methods has substantially improved our understanding of polygenic disease and complex trait architectures, informing efforts to identify and interpret genetic variation affecting diseases and complex traits. 10:30 AM Polygenic architecture and adaptation of human complex traits. J. Pritchard. Howard Hughes Med Inst, Stanford. 11:00 AM Detection and quantification of the effect of selection and adaptation on complex traits. P. Visscher. Univ Queensland, Brisbane, Australia. 11:30 AM Observing natural selection in contemporary humans. M. Ilardo. Univ Utah & UC Berkeley. 12:00 PM Impact of negative selection on common variant disease architectures. A. Price. Harvard TH Chan Sch Publ Hlth, Boston. See you in San Diego! American Society of Human Genetics. Nevertheless, if you see me wandering around please say HI! Now that the Harvard Asian American discrimination trial has started, let me share some previous correspondence with NYTimes reporters who are covering the proceedings. ... it's far too easy for the press to just report it as "Harvard's statistician disagrees with plaintiff's statistician" when in fact there are specific and important claims (e.g., regarding unhooked applicants) that are unanswered by Harvard. Claim: when unhooked applicants are considered, Asians are discriminated against relative to all other groups. 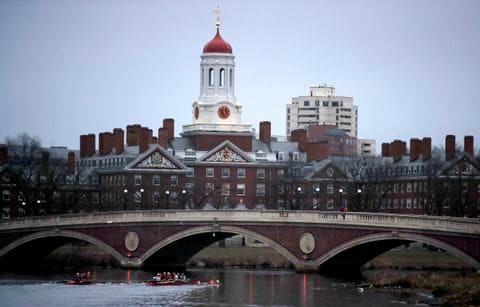 Will Harvard contest the claim that within the set of unhooked applicants, Asian Americans are discriminated against? As far as I know they have not. Thanks to the lawsuit the results of a Harvard internal study in 2013 have been revealed, which concluded, like the Stanford study, that there was indeed discrimination against Asian American applicants. This will undoubtedly be discussed at trial. The Content of their Character: Ed Blum and Jian Li. Jian Li: "I have a message to every single Asian-American student in the country who is applying to college: your civil rights are being violated and you must speak up in defense of them. If you've suffered discrimination you have the option to file a complaint with the Office for Civil Rights. Let your voice be heard .. not only through formal means but also by simply letting it be known in your schools and your communities, in the press and on social media, that university discrimination is pervasive and that this does not sit well with you. Together we will fight to ensure that universities can no longer treat us as second-class citizens." 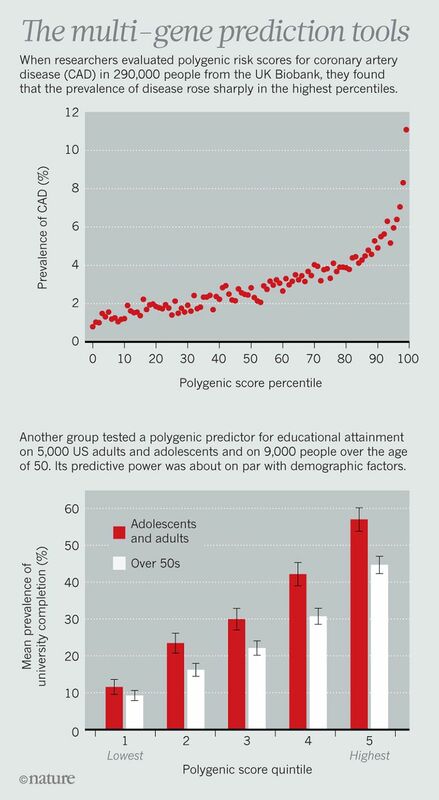 See also Population-wide Genomic Prediction of Health Risks. ... Supporters say that polygenic scores could be the next great stride in genomic medicine, but the approach has generated considerable debate. Some research presents ethical quandaries as to how the scores might be used: for example, in predicting academic performance. Critics also worry about how people will interpret the complex and sometimes equivocal information that emerges from the tests. And because leading biobanks lack ethnic and geographic diversity, the current crop of genetic screening tools might have predictive power only for the populations represented in the databases. I estimate that within a year or so there will be more than 10 good genomic predictors covering very significant disease risks, ranging from heart disease to diabetes to hypothyroidism to various cancers. 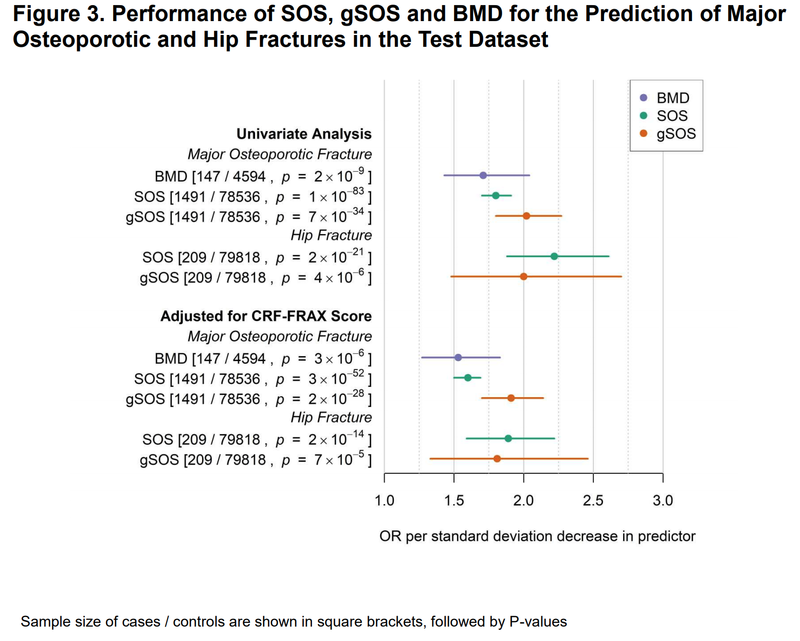 These predictors will be able to identify the, e.g., few percent of the population that are outliers in risk -- for example, have 5x or 10x the normal likelihood of getting the disease at some point in their lives. Risk predictions can be made at birth (or before! or in adulthood), and preventative care allocated appropriately. 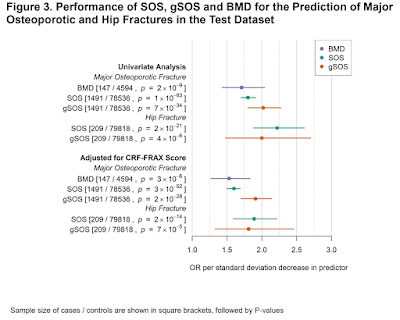 All of these risk scores can be computed using a genotype read from an inexpensive (< $50 per person) array that probes ~1M or so common SNPs. It seems to me we are just at the tipping point -- soon it will be widely understood that with large enough data sets we can predict complex traits and complex disease risk from genotype, capturing most of the estimated heritable variance. People will forget that many "experts" doubted this was possible -- the term missing heritability will gradually disappear. In just a few years genotyping will start to become "standard of care" in many health systems. In 5 years there will be ~100M genotypes in storage (vs ~20M now), a large fraction available for scientific analysis. The UK is ahead of the US in the application of genomics in clinical practice. Part of this is due to their leadership in projects like the UK Biobank (500k genomes with extensive biomedical phenotyping), and part is due to having a single-payer system that can adopt obviously beneficial (and cost-beneficial) practices after some detailed study. Former Prime Minister David Cameron's son has a rare genetic disease, which contributed to his strong support of genomics research in the UK. The decentralized (broken) US health care system, which does not focus on quality of outcome, is having a hard time with no-brainer decisions like making inexpensive genotyping Standard of Care. Will insurance reimburse? In technical papers my research group anticipated years ago that even very complex traits would be predictable once a data threshold was crossed. The phenomenon is related to what physicists refer to as a phase transition in algorithm performance. The rapid appearance now of practically useful risk predictors for disease is one anticipated consequence of this phase transition. Medicine in well-functioning health care systems will be transformed over the next 5 years or so. A one-off genetic test costing less than £40 can show if a person is born with a predisposition to heart disease. The Genomic Risk Score (GRS) test is cheap enough to allow population-wide screening of children, researchers believe. Medical and lifestyle interventions could then be employed to reduce the chances of those most at risk of suffering heart attacks in adulthood. A study found that participants with a GRS in the top 20% were more than four times more likely to develop coronary heart disease than those with scores in the bottom 20%. Many in the “at risk” category lacked the usual heart disease indicators, such as high cholesterol and blood pressure. Senior author Sir Nilesh Samani, the professor of cardiology at the University of Leicester and medical director of the British Heart Foundation charity, said: “At the moment, we assess people for their risk of coronary heart disease in their 40s through NHS health checks. But we know this is imprecise and also that coronary heart disease starts much earlier, several decades before symptoms develop. “Therefore, if we are going to do true prevention, we need to identify those at increased risk much earlier. This study shows that the GRS can now identify such individuals. I thought Khabib's grappling would dominate McGregor's striking. Tony Ferguson would have given him a tougher fight. The finish was not a choke -- probably a jaw lock. It seems that Conor almost taps, stops, then realizes his jaw is in danger (or just gives up, which is part of his MO) and taps.